Teledyne LeCroy announces WavePro HD high definition oscilloscopes digitizing 12-bit signals up to 8 GHz frequencies. This four-channel oscilloscope range is available in four models with bandwidths from 2.5 GHz, 4 GHz, 6GHz and 8 GHz. Signal sampling is performed at rates up to 10 Gech./s per channel (20 Gech./s on 2 channels). Their standard memory capacity of 50 Mpts (on 4 channels) can optionally reach up to 5 Gpoints on 2 channels (2.5 Gpts on 4 channels). Teledyne Lecroy is expanding its range of high-definition oscilloscopes. Since 2011 the American manufacturer has been offering a range of oscilloscopes that really digitize signals over 12 bits. With the launch of the WavePro HD series, it is continuing its strategy while increasing in frequency. These oscilloscopes incorporate its HD4096 digitizing and amplification technology that uses no software solution to sample signals up to 8 GHz with 12-bit resolution over the entire bandwidth. The acquisition and scanning process is associated with FPGA components for data filtering and correction. As a result, the handling of the acquisitions saved on a memory of up to 5G points and the display of the signals remain fluid and reactive. Teledyne LeCroy’s WavePro HD oscilloscopes operate an 8 GHz chipset including a low noise input amplifier (0.5% gain accuracy) and a 12-bit Analog/Digital converter. 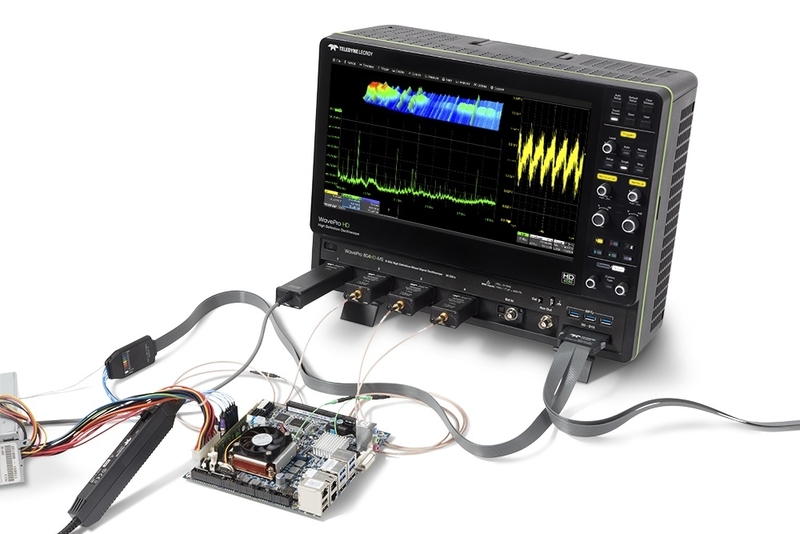 This chipset, tightly integrated into a new low noise and broadband system architecture, enables these oscilloscopes to take full advantage of the potential of HD4096 High Definition technology. 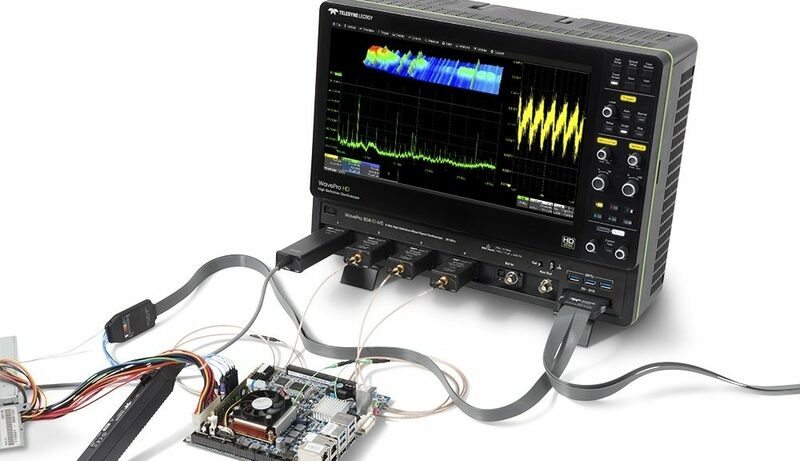 This is a first in the market according to Teledyne Lecroy, for whom competing oscilloscopes simply implement an 8 or 10-bit Analog/Digital converter and use software techniques that sacrifice bandwidth to achieve higher resolution. This four-channel oscilloscope range is available in four models with bandwidths from 2.5 GHz to 8 GHz. 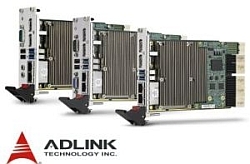 These instruments have sampling rates up to 10 GS/s per channel (20 GS/S on 2 channels), and a memory depth up to 5 Gpts on 2 channels (2.5 Gpts on 4 channels). They can thus acquire signals with a resolution of 12 bits over a duration of 250 ms at the sampling rate of 20 GS/s. All WavePro HD oscilloscopes are equipped with a 15.6″ 1900 x 1080 pixel capacitive touch screen using the OneTouch user interface for intuitive operation. WavePro HD oscilloscopes also feature new BNC-compatible input interfaces to which the new 6 or 8 GHz ProBus2 differential probes can connect to cover the entire bandwidth offered. The analog inputs of WavePro HD oscilloscopes can be combined with 16 mixed-signal oscilloscope (MSO) digital inputs to capture mixed signals. A range of analysis tools, available as standard, are combined with options for triggering serial data, decoding, measurement/graph and eye diagram (TDME). High-speed serial jitter analysis and protocol compliance testing tools are also available. With 12-bit resolution, and a time base jitter of 60 fs, WavePro HD oscilloscopes can conduct jitter and noise measurements. The optional SDAIII CompleteLinQ package offers jitter analysis tools for serial data and vertical noise, while the optional QualiPHY serial data compliance packages are dedicated to physical layer validation.